Former NFL quarterback Tim Tebow announced plans to release a new book on October 25, 2016. 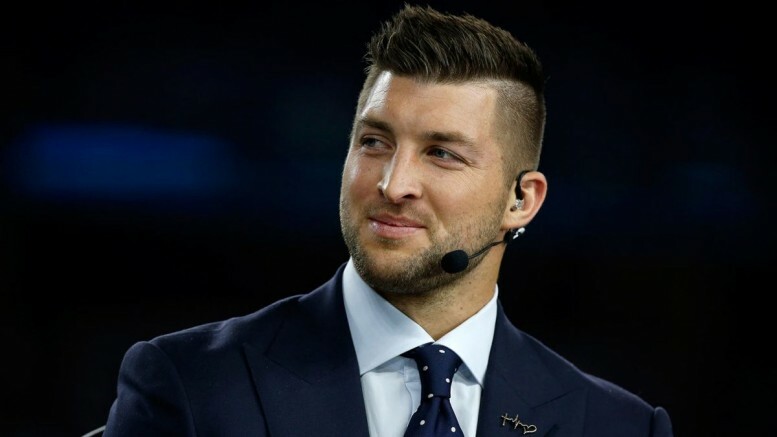 The book is published by Waterbrook, and is titled “Shaken: Discovering Your True Identity in the Midst of Life’s Storms.” Tebow announced the book via Twitter late Wednesday afternoon. According to the publisher’s website, Shaken is a “revealing” book that “pulls back the curtain” on Tebow’s life as he shares about vulnerable moments of his career and how his Christian faith has anchored his life through trials. Tim Tebow has achieved big victories and plunged the depths of failure, all while never letting go of his faith, even in the face of doubt and disappointment. In Shaken he explains why neither the highs nor the lows of his life can define him—and he reveals how you, too, can find confidence in your identity and know who you are. Tim Tebow was a college standout at the University of Florida and a Heisman trophy winner. He led the Gators to two national championships. He quickly became a media sensation and pop culture icon due to his outspoken Christian faith. He was drafted in the first round of the 2010 NFL Draft by the Denver Broncos, and led Denver to a miraculous playoff run. After the Broncos signed veteran quarterback Peyton Manning in March 2012, Tebow was traded to the New York Jets. He played backup for the Jets for one season before being released, and then spent the next several years bouncing around the NFL with three different teams. Tebow currently works as a college football analyst for ESPN. Tebow’s last book, “Through My Eyes,” an autobiography, sold hundreds of thousands of copies and became the best-selling sports book of 2011. Through My Eyes spent 24 weeks on the New York Times bestseller list and was also the best selling religion book of 2011.